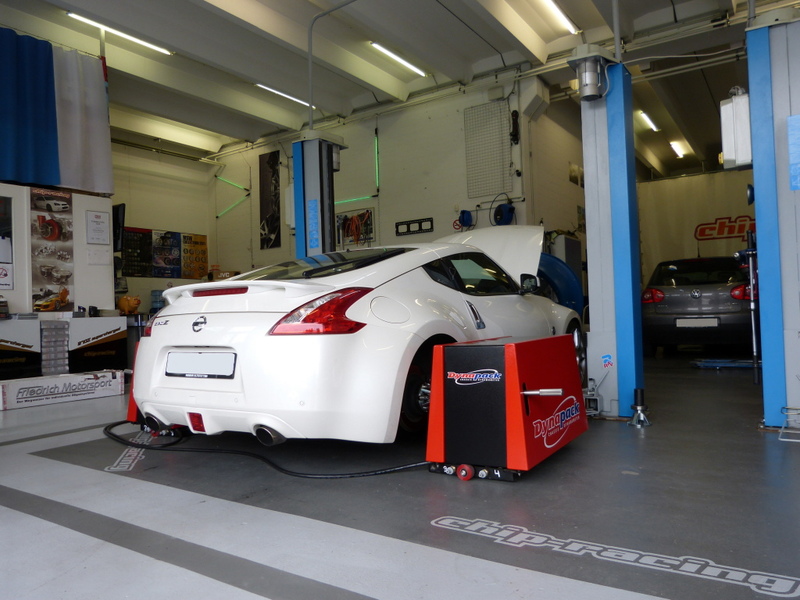 Next to our homologated Stillen Supercharger Kit for the Nissan 370Z we also have the Stillen Cold Air Intake in our program! 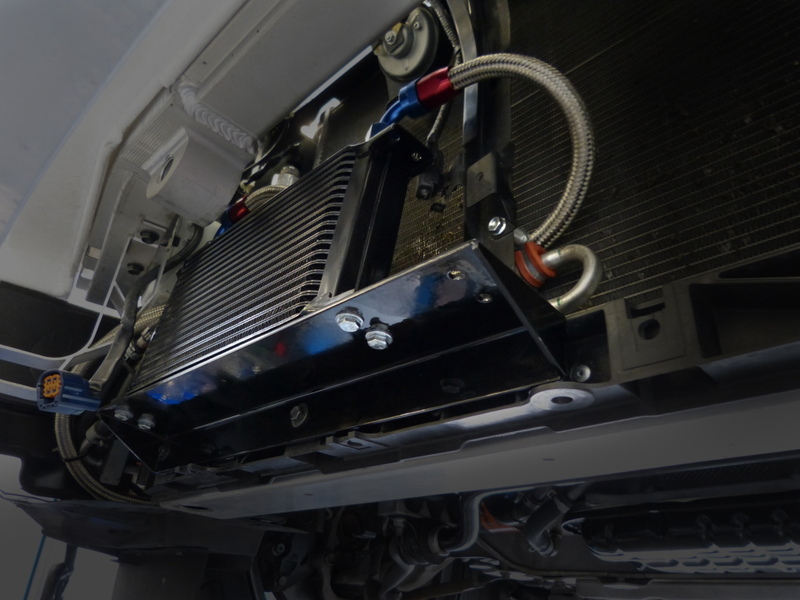 We did some testing with this intake to see the potential of the kit and the VQ37. The Stillen Kit includes two airfilters, all the piping plus the hardware needed. 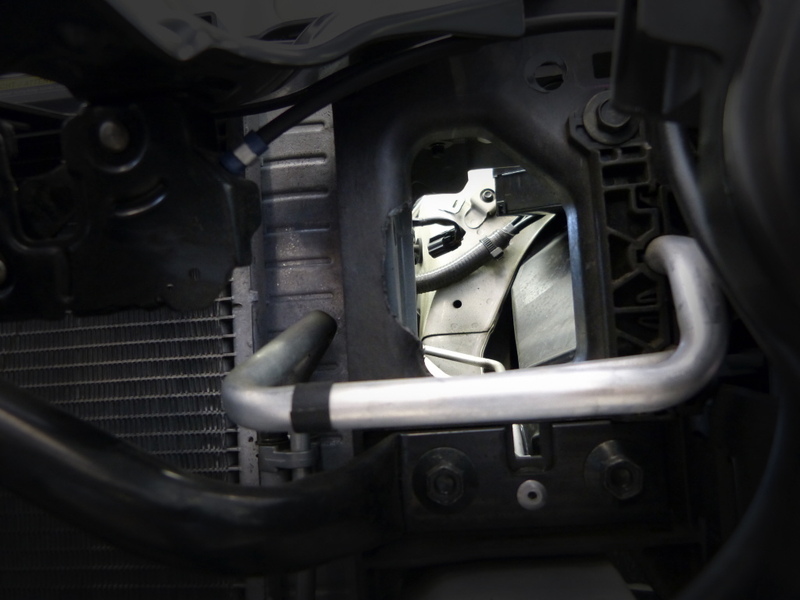 The installation was quiet a lot of work, the complete front bumper had to be removed to make room for the new intake. After removing the bumper and OEM airbox we finally had a bit of space to work on the car! As the front was removed anyway, we took the chance to mount the Stillen Oil Cooler Kit as well. 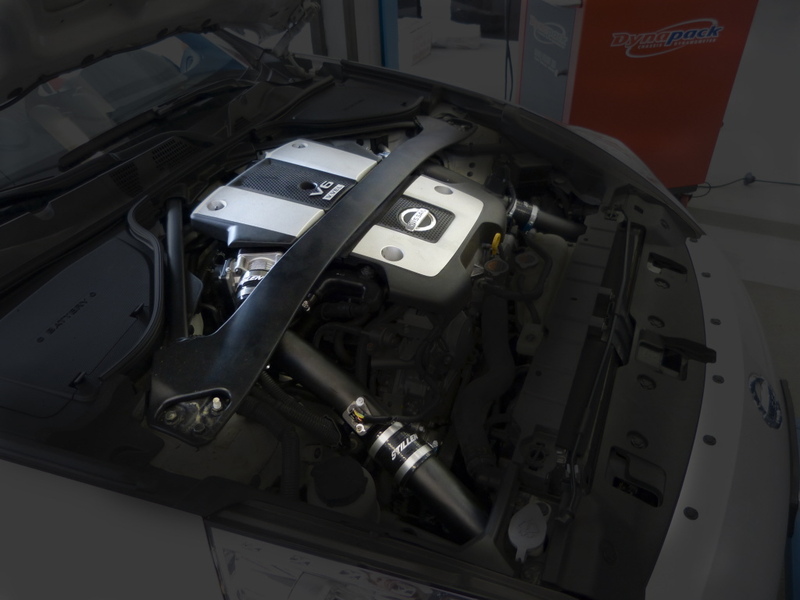 Again a very high quality kit that fits perfect and helps to keep the VQ37 cool under any conditions! 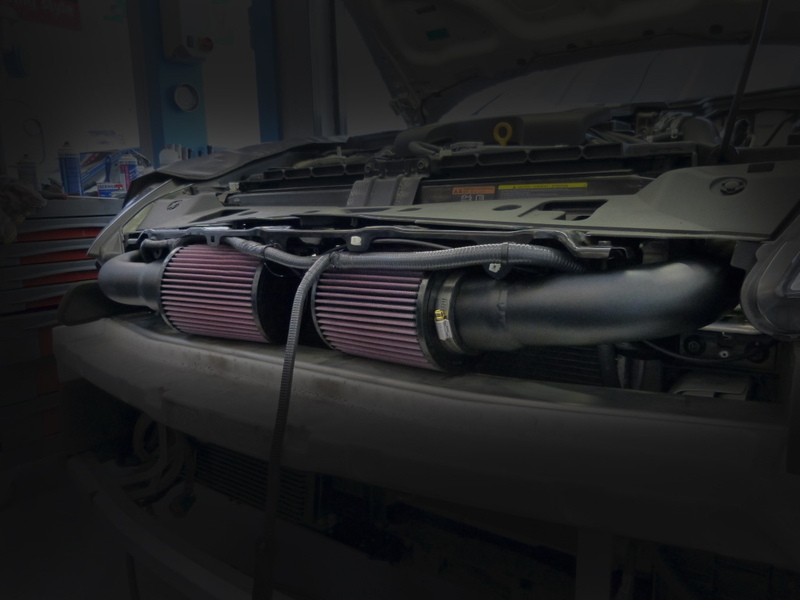 The Cold Air Intake is another fine kit from Stillen, it comes with all parts needed and is manufactured with quality in mind! 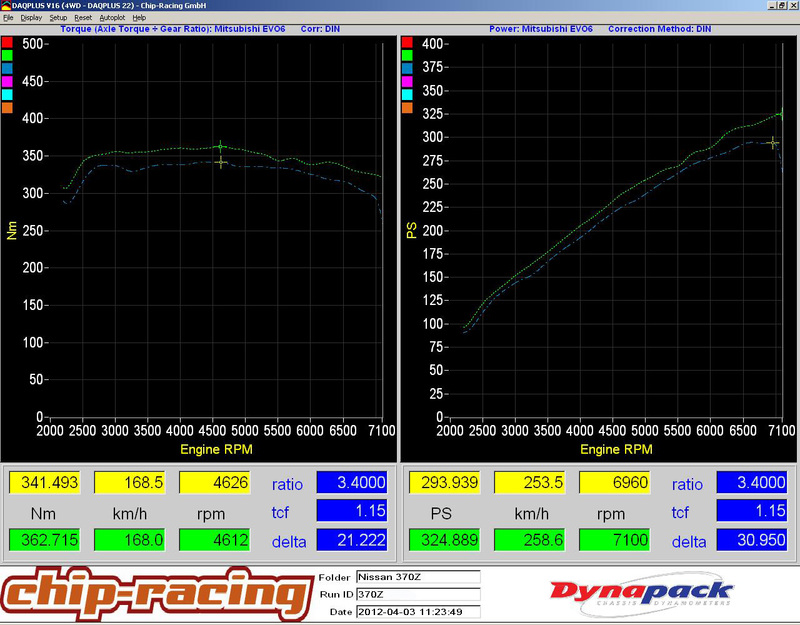 Together with a good tune this intake really makes sense. More power at high revs and slightly more torque trough the entire revband make the allready nice to drive 370Z even better! We would only recommend this kit if you want to upgrade the ECU as well, otherwise air-fuel ratio will mess up and the car will not produce much more power!